Strong Bad's CGFAP is an "episodic" game meaning that they just released the first episode and they are planning on releasing an episode a month until there are five total episodes in the game. This first episode is called Homestar Ruiner and as of today is available for the PC or on the Nintendo Wii. The Wii version is 1000 points ($10) and the PC version is $8.95 with an option to purchase the entire 5 episodes for $34.95 which will save you $9.80 in the long run if you decide to buy all 5 episodes. I definitely want to play this game, but now I have to decide if I want to play it on the Wii or the PC. I originally thought I would play it on the Nintendo Wii, but right now I'm leaning more towards the PC due to the decreased cost. I also think that the game will look better on the PC than on the Wii, but have not seen anything that says as much. But I haven't played the game yet, so before plunking down any cash, go ahead and read some reviews or play the demo. It has arrived: Strong Bad's Cool Game for Attractive People You may recall that I got excited when this game was announced back in April. I've been patiently waiting to play this game, and of course it comes out right before I'm heading out of town. 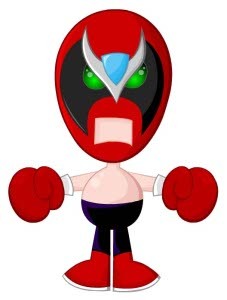 But that's not what this blog post is about, so let's talk about the game: Strong Bad's CGFAP is an "episodic" game meaning that they just released the first episode and they are planning on releasing an episode a month until there are five total episodes in the game. This first episode is called Homestar Ruiner and as of today is available for the PC or on the Nintendo Wii. The Wii version is 1000 points ($10) and the PC version is $8.95 with an option to purchase the entire 5 episodes for $34.95 which will save you $9.80 in the long run if you decide to buy all 5 episodes. I definitely want to play this game, but now I have to decide if I want to play it on the Wii or the PC. I originally thought I would play it on the Nintendo Wii, but right now I'm leaning more towards the PC due to the decreased cost. I also think that the game will look better on the PC than on the Wii, but have not seen anything that says as much. But I haven't played the game yet, so before plunking down any cash, go ahead and read some reviews or play the demo.